Wolves, ogres, and giants have always populated children's books. That little bit of fear that they inspire is what makes storytime so exciting. 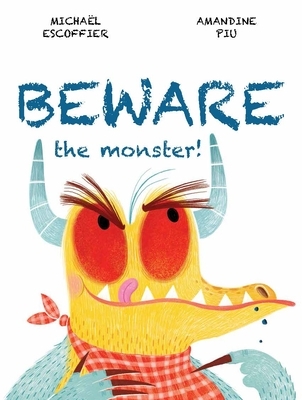 In this book, young children are introduced to a ravenous monster that eats everything in its path. Apples, leaves, trees, and even cows don't stand a chance as he ploughs his way through the woods satisfying his enormous appetite. Who will his next victim be? Be careful His favorite dish is little children But don't worry. The surprise ending will make children sigh with relief--and laugh out loud. Filled with humor and just the right amount of scariness, this book speaks directly to the child with comments, warnings, and asides on every page. Giggle-inducing lines such as "I think you'd better hide" and "Here he comes Close the book " place the child right in the story.